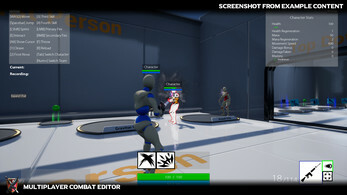 The Multiplayer Combat Editor is a code plugin for Unreal Engine 4 to prototype combat in your game. 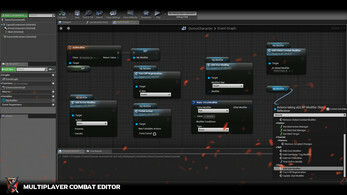 Create skills with properties like damage types, recast, firerate, spread, cone detection and many other settings. Create stats to keep track of your essential values (Health, Experience, Armor…). 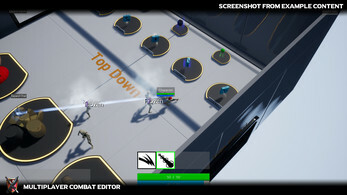 Create teams and customize alliance properties to target only enemies, allied or neutral characters. Grant your characters actions and define the rule between them (unable to sprint while reloading). 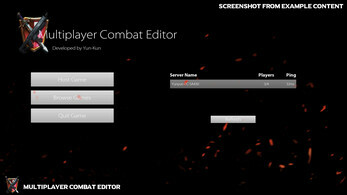 Modify skill, stat and actions during gameplay (crowd controls, items, buffs or talents). 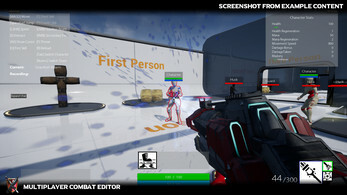 You can build RPG, MobA, FPS and Action games in general. But I’m sure you can bend the systems to suit your needs for other types of game. You can also develop singleplayer games using MCE. You can import MCE in an existing project or start one from scratch with MCE. 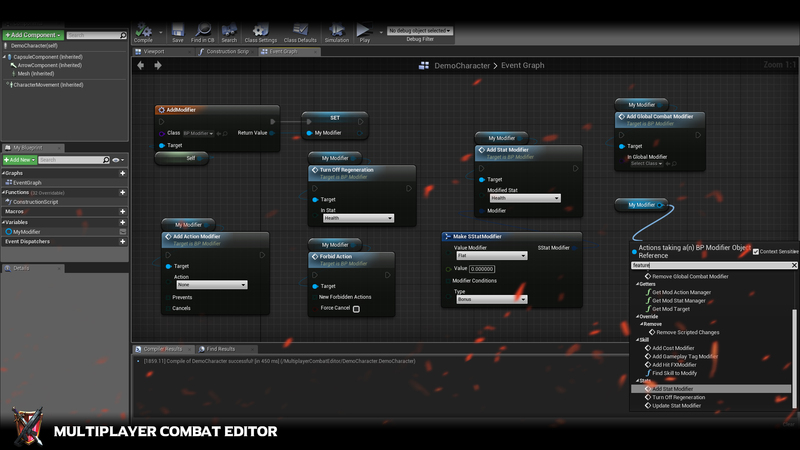 You’ll add actor components, blueprint interfaces, enum entries, fill variable values and plug MCE custom blueprint nodes altogether to create abilities, stats, passive, talents, crowd controls, enemies, items and much more! Youtube tutorials will help you get started and dive into advanced features when you're ready. It is more suited to people who already know a bit of Blueprints or have a programming background. But everyone can learn how to use the tools through the basic series of tutorial and the more experienced users can learn how to customize everything through more advanced series. Everything related to Example Content is subject to change and is not considered part of the plugin. It will be edited and might be removed without warning. You can download a .exe of the content example to try everything for free below. You can download the example content project or solely as well for free below.